The mission of AREA is dedicated to promoting, through sound educational practices, stewardship and responsible use of aquatic resources, fisheries and habitats to enhance the quality of life for current and future generations. The Aquatic Resources Education Association (AREA) was established in direct response to a growing national need for a cohesive voice and a more fluid organized approach to the matters of regional, state, and local levels of aquatic concerns. The incorporation in 1994 of AREA launched an unprecedented national effort to join the forces of all levels of experts, scientists, technicians, aquatic professionals, and organizations dedicated to aquatics, toward responsible, viable aquatic management. 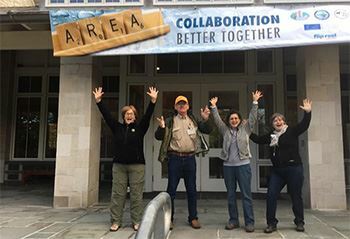 AREA members participate in a national effort toward education, conservation, legislation, cooperation, science, research, information dissemination, restoration, evaluation, management, recognition, and similar functions related to aquatics and aquatic programs. By joining AREA, you have direct access to national, regional, and local levels of support and expertise. You will have opportunities to participate in conferences and seminars and enjoy daily dialogue with aquatic scientists and leaders from all walks of life. AREA members share professional experience; share a positive reputation with legislators and local groups alike; and members are able to get in on the ground floor of legislation, current developments, technical and research projects, and access vast amounts of information. AREA signed a Memorandum of Understanding with the Boy Scouts of America which supports and furthers the mission and goals of both organizations. 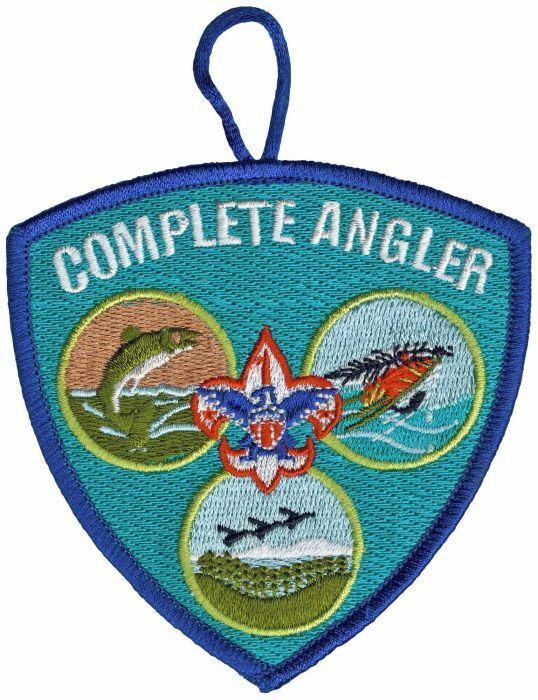 One of the benefits of an AREA membership is the BSA angler education programs available to non-scout AREA members. Regular ($25) Membership for Aquatic Education and Angler Education coordinators of state, federal and local agencies, or any individual whose professional activities embrace aquatic resource education and the purposes of the Association. Retiree ($10) Membership for individuals retired from their career or formal association with Aquatic Resources Education but who wish to participate in communication and conference activities of the AREA. Student ($10) Membership for university level students with an interest in Aquatic Resources Education who wish to participate in communication and conference activities of the AREA. Organization ($100) Membership for up to 5 individuals in an agency, department or organization which provides Aquatic Resource and/or Angler education programs and activities. AREA offers its members continuing news, information and breaking items that impact and effect aquatic programs. Members freely share activities, notices, supplier details, and more with each other. A benefit of your AREA membership. Unfortunately, not all aquatic educators are familiar with the Aquatic Resources Education Association and miss out on the expertise among our group. We encourage you to share our name with your colleagues and suppliers and share that AREA is deeply involved with and has the ears of a broad group of Federal, state and local influencers. We will be hosted by South Dakota in the fall of 2020. Rich in natural resources, the learning laboratories and workshop presentations will inspire and uplift you, as well as provide you tools, knowledge and skills to take back to your organization. Strengthening your business image is one of the most valuable benefits of a sponsorship through AREA. Customers love brands that care about spreading positive messages and helping community. Linking your business to a worthy cause can draw lasting support and media attention. AREA provides sponsors the opportunity for visibility and outreach in two ways: AREA annual sponsor ($100) which includes your logo and web address on our website; and AREA biennial conference sponsor offering a wide range of unique opportunities during the conference. Invest in the future of aquatics and the environment. Join or Donate to AREA today! You can make all the difference in the world! Don't hesitate, join or donate now. "Aquatic Resources Education Association" is a 501(c)3 non-profit organization. Founded in 1994. For member assistance, contact Member Support Carol Paterick, Phone: 301-805-0784, carolpaterick@gmail.com.